Darth Sunshine: Stampin' Up! Convention update!!! 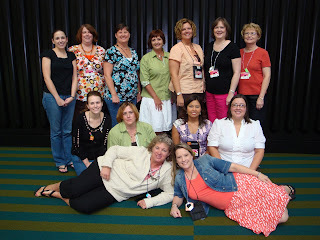 Here's a photo of our group on the last day of convention! (I'm in the back row-3rd from the right). Changing the date for the Summer Picnic Class! Summer Picnic Class on August 27th!